In 2006, Coca-Cola created its MyCokeRewards Campaign in response to flagging soda industry sales. The campaign, still active today, is a loyalty and direct-response marketing system that has offered Coke customers millions of dollars worth of prizes since its inception. 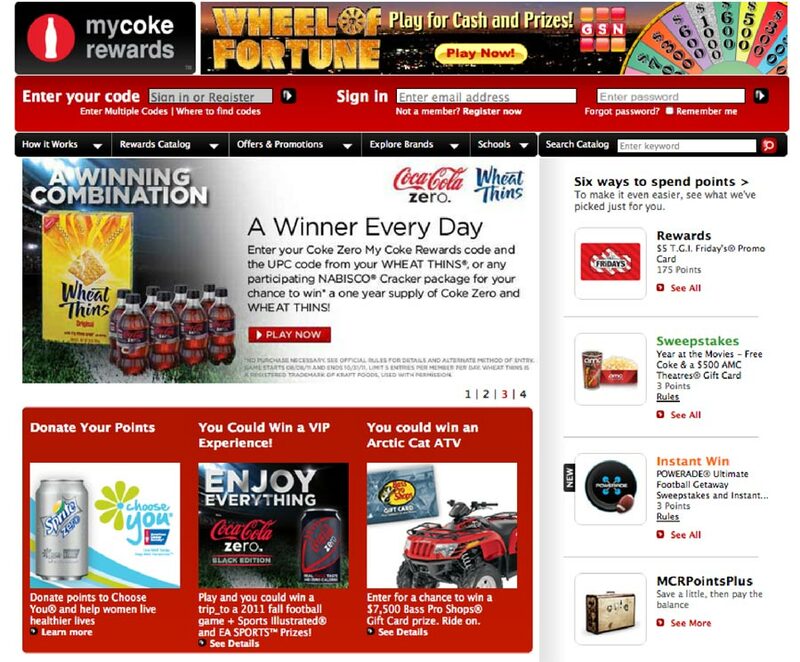 To participate, consumers must create online accounts at MyCokeRewards.com, after which they can enter PIN codes printed on bottle caps and cartons to redeem rewards. Each visit captures participants’ “demographic and psychographic details,”1 giving Coca-Cola “mountains of data” they can use to “personalize the look and messaging of a particular web page, email or mobile content, or send an exclusive offer.”2 By 2009, around 285,000 users per day were entering “an average of seven codes per second” at MyCokeRewards.com.3 What’s more, the campaign speaks to Coca-Cola’s early and persistent use of behavioral targeting, the controversial practice of covertly collecting information on individuals’ online behaviors. The practice has raised privacy concerns across the globe. CAPTION - The MyCoke home page. [Source: MyCoke, http://www.mycoke.com/ (viewed 8 Aug. 2011)]. The MyCokeRewards site is set up to maximize data collection, allowing marketers to establish ongoing relationships with consumers, foster engagement and build brand loyalty. Registration is available in English and Spanish to anyone 13 or older and requires users to provide their date of birth, country of residence, name, gender, street address, email address, and a password. Additionally, Coca-Cola has worked with behavioral advertising pioneer Tacoda to target individuals likely to be interested in MyCoke. 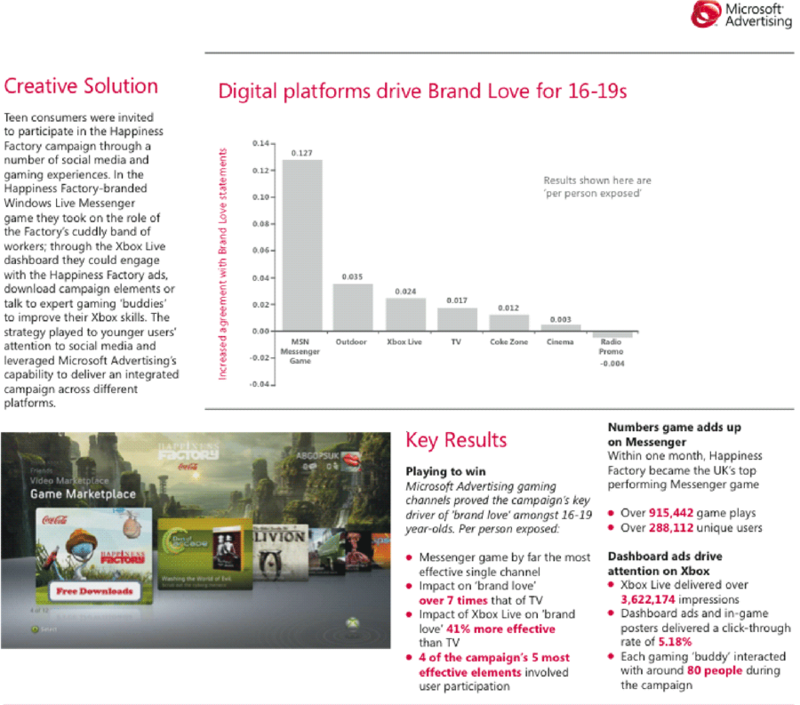 The strategy helped Coke increase its consumer base and engagement with the brand. 1. Fair Isaac. The Case for Customer Centricity. Retrieved August 12, 2010 from http://www.cxo.eu.com/article/The-Case-for-Customer-Centricity/. 2. FICO.Precision Marketing Manager Product Sheet. Retrieved August 12, 2010 from http://www.fico.com/en/Products/DMApps/Pages/FICO-Precision-Marketing-Manager.aspx. 5. MyCokeRewards. Home page. http://www.mycokerewards.com/home.do. 7. McNaughton, M. (2011, February 2). 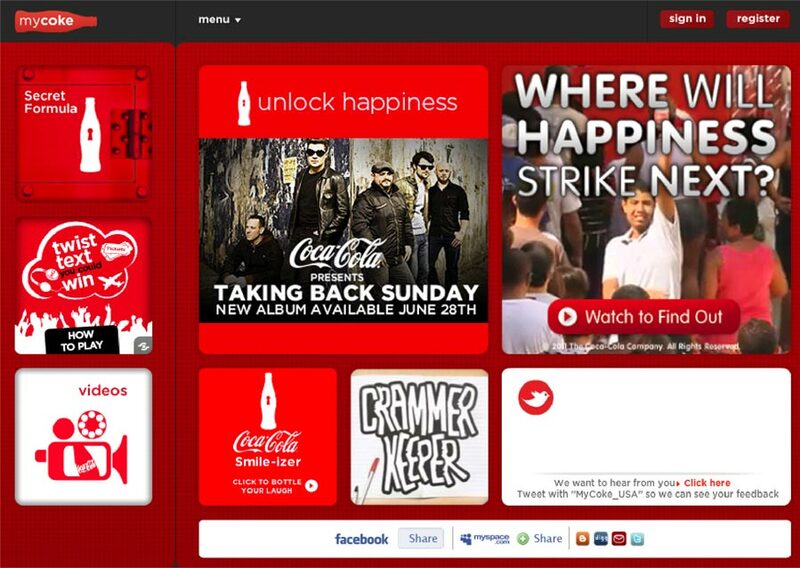 How Coca-Cola Doubled its Facebook Fans in 6 Months. TWTRCON. Retrieved February 24, 2011 from http://twtrcon.com/2011/02/02/how-coca-cola-doubled-its-facebook-fans-in-6-months/. 8. Morrissey, B. (2009, February 4). Coke Dabbles in iPhone Apps. AdWeek. Retrieved October 12, 2011 fromhttp://www.adweek.com/aw/content_display/news/digital/e3i2e2fd2bc31136679bc3101796b8b9235. 9. WARC. (2010, June 1). Coca-Cola builds new social media model. Retrieved October 11, 2011 fromhttp://www.warc.com/LatestNews/News/ArchiveNews.news?ID=26773. 10. Khan, M.A. (2010, Aug. 2). How Coca-Cola’s Mobile Credit Campaign May Change Shopper Marketing. Mobile Commerce Daily. Retrieved August 16, 2010 from http://www.mobilecommercedaily.com/2010/08/02/how-coca-cola%E2%80%99s-mobile-credit-campaign-may-change-shopper-marketing. 11. The Economist. (2004, June 10). Inside the mind of the consumer. Retrieved October 18, 2011 fromhttp://www.economist.com/node/2724481. 12. Olson Zaltman Associates. Who we are: our clients. http://www.olsonzaltman.com/html/clients.html. 13. Quantitative Emotional Preference Research: The Marketing Clinic. What we deliver. http://www.qepresearch.com/what_we_deliver.php. 14. Quantitative Emotional Preference Research: The Marketing Clinic. Who we work for.http://www.qepresearch.com/who_we_work_for.php. 15. Mcclellan, S. (2008, February 18). Mind Over Matter. AdWeek. Retrieved October 18, 2011 from http://www.adweek.com/news/television/mind-over-matter-94955?pn=1.